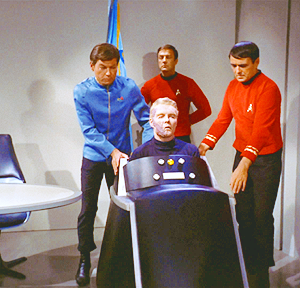 Not all sci-fi environments are as barrier-free and wheelchair-accessible as the ADA-friendly bridge design of The Next Generation's USS Enterprise with its gently sloping ramps. 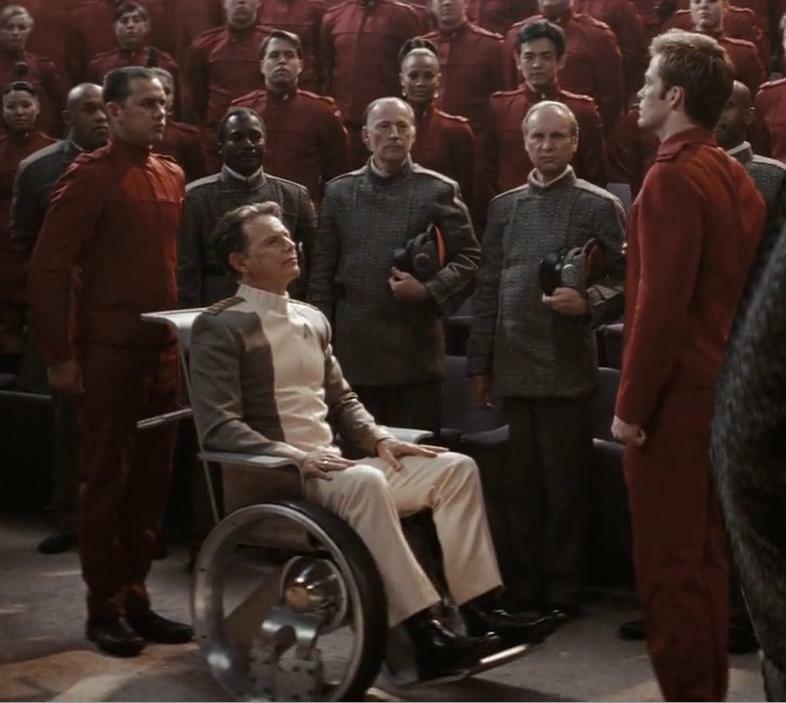 With Staircases in Space: Why Are Places in Science Fiction Not Wheelchair-Accessible?, Ace Ratcliff pens an excellent analysis of the pervasive presence of staircases in sci-fi that appear to foreshadow a future where universal accessibility for wheelchair-bound people like herself—and beyond that, the full inclusion in society—remain utterly unachieved. "Unfortunately, 50 years worth of Federation starship manifestations also means half a century of inaccessibility," writes Ratcliff. "The original USS Enterprise bridge has enough steps you could take the equivalent of an aerobics class just trying to get from the turbolift to the Captain’s chair. 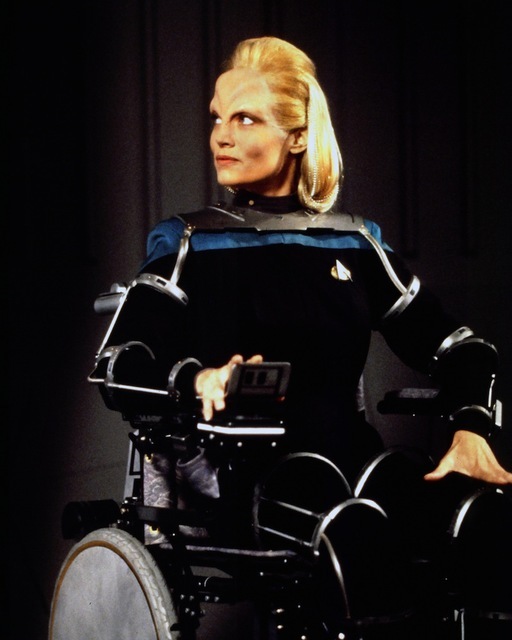 The same level of inaccessibility goes for both the USS Voyager and USS Discovery, and if you’re a wheelchair user, you better not try to grab an after-shift bottle of bloodwine at Quark’s Bar unless you plan on dragging yourself up several steps to get there. 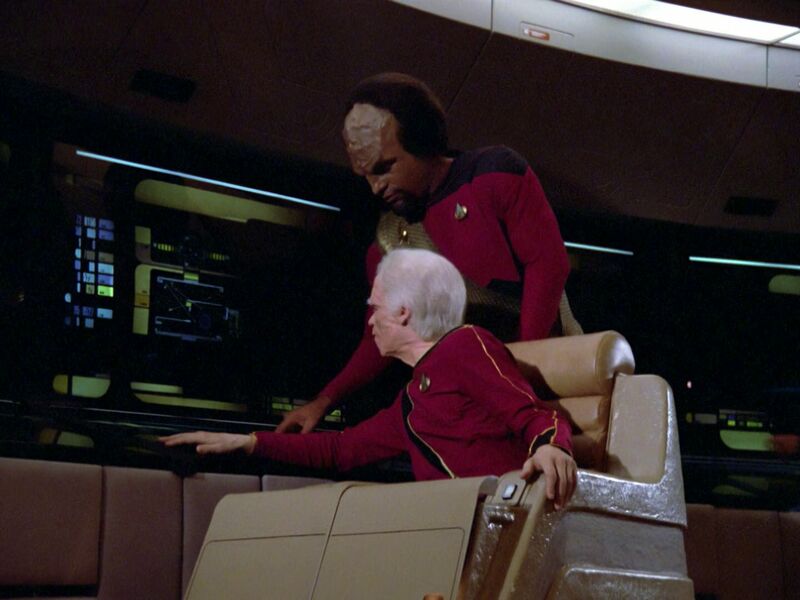 In fact, the bridge from The Next Generation’s Enterprise is the only one that’s fully accessible with gentle, sloping ramps." There aren't any crippled people in the future because of the magic of science. Or eugenics. I've mentally noted the architectural barriers in sci-fi before. Also the lack of apparent regulation that would mimic our current building code. Lots of those staircases the author complains about wouldn't pass under this century's building codes.